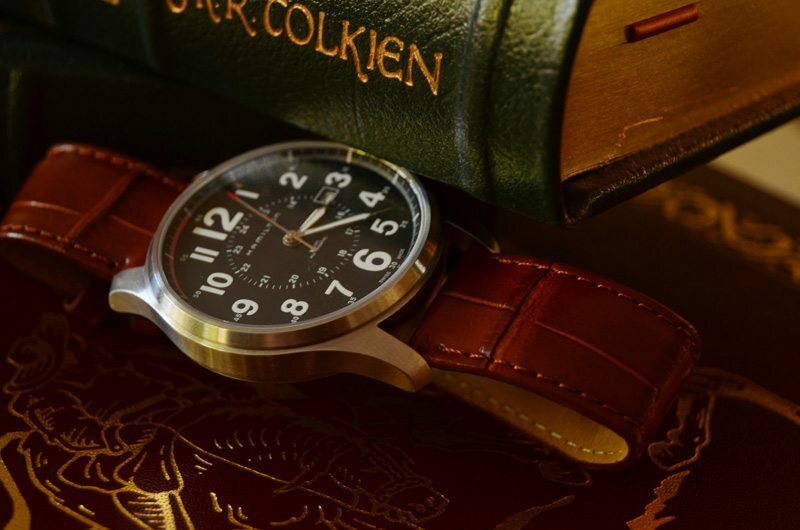 Purchasing a new watch band is a great way to add some renewed interest in an old timepiece. A lot like going into your closet to find an outfit for a special occasion, simply changing bands can add a whole new character to your wrist watch. 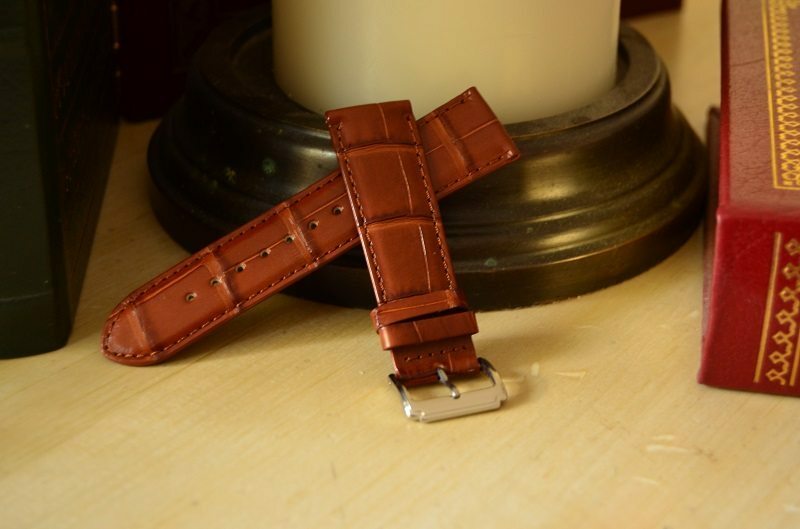 We’ve reviewed a number of watch bands so we were particularly excited to test out a Banda Honey Genuine Alligator Leather Watch Strap offered by Total Watch Repair. Established in 1992, Total Watch Repair is a family owned business located in Los Angeles. Members of the American Watchmakers-Clockmakers Institute and the National Association of Watch and Clock Collectors, they specialize in watch repair. You can also purchase timepieces at their retail outlet, and with an A+ rating from the BBB, they’re about as legit as any horophile could hope to be. The strap is made from…you guessed it, genuine alligator skin. It’s a matte finish with a honey color. Matching thread keeps the color uniform and a silver plated buckle completes the look. The alligator leather is pretty flexible and shows some interesting scaling, but aside from that looks almost identical to cow’s leather from a distance. It is a really thin leather with an almost synthetic smoothness. The buckle feels a bit cheap and doesn’t exude quality. The watch’s backside indicates it is made by Banda, a global strap manufacturer so I don’t place blame on Total Watch Repair. The strap does it’s job of keeping the timepiece secure on my wrist. There is one fixed strap keeper and one floating keeper that keep excess strap neatly contained. There is no discomforting pinch from the buckle when moving the wrist, and the notch spacing allowed for a good fit. 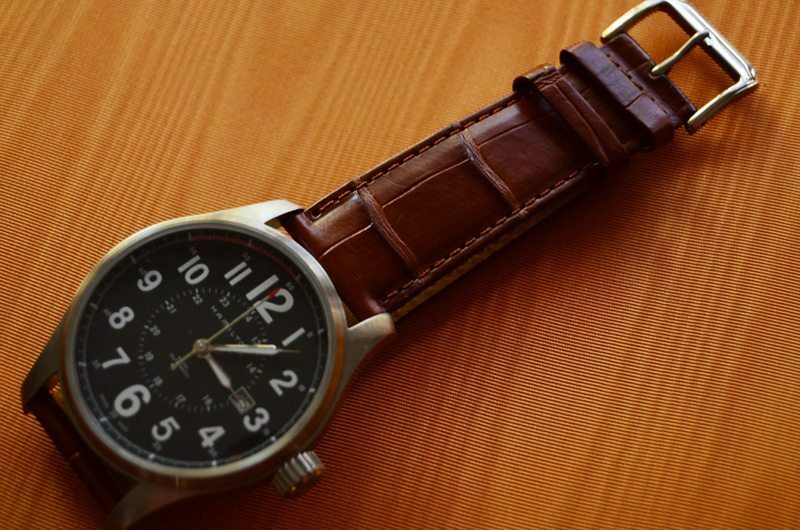 A watch strap’s main purpose is to keep it on your wrist, and this strap carries this task out like any other. The strap doesn’t offer the “wow” factor I was expecting. I would have liked to have seen deeper scaling, and perhaps some scarring. Just something that gave testament to the fact that this was made from the hide of one of nature’s most deadliest predators. Aside from the creases, this just looks like a very subdued, cheap leather strap. It’s a formal design, I chose to wear it with my suit and found it could barely pull off the look. Much like the Big Mac at McDonalds, this strap looks better in staged pictures than it does in person. Here at BestLeather we like to give every product received a fair chance. 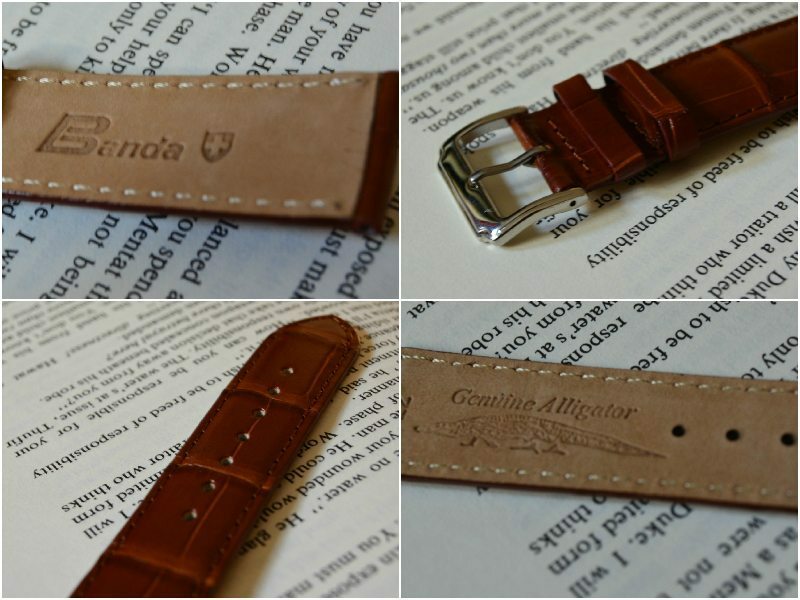 I personally cannot recommend the Banda Honey Genuine Alligator Leather Watch Strap. Priced at a premium of $249.95, there are such better options out there from skilled crafters. However, Total Watch Repair continues to stand out as an exemplary timepiece service center and offers many other promising bands at very affordable prices. 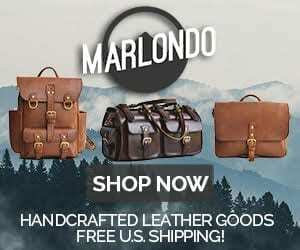 2 Comments on "Total Watch Repair Honey Genuine Alligator Leather Watch Strap Review $249.95"